This page collects all technical documentation relevant to the IMPEx environment and the IMPEx protocol. Existing documents will be updated on a regular basis - new material will be added as needed. Full documentation of the XML Schema as html or pdf. 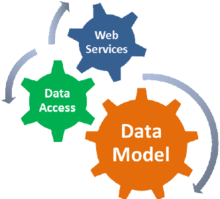 For previous versions of the IMPEx Data Model please visit visit the archive page. The Interface Control Documents provide all required details of the various implementations of the IMPEx protocol including examples and best practices. The configuration file can be retrieved as xml or json. All the Web services provided by IMPEx return data either in netCDF or in VOTable format, depending on the user's request. Documentation for netCDF as html. Documentation for VOTable (v1.2) as html and XML schema.